Elections to the lower house of the Belarusian parliament (House of Representatives) were held on September 11. A total of 110 deputies were elected, including two opposition representatives - Anna Konopatskaya, a member of opposition party United Civil Party, and Elena Anisim, deputy head of the Belarusian Language Society. 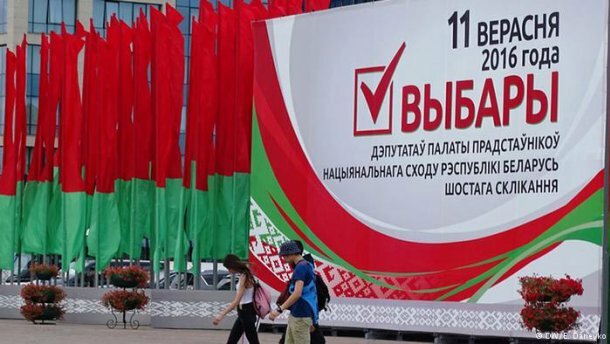 Belarusian experts briefed EADaily on the results of the elections. It was evident that Alexander Lukashenko had to let someone formally not representing the authorities into the parliament. The only thing is that the two women elected to the parliament can hardly be called real oppositionists. One of them represents an opposition party and even has her own business, though Lukashenko said there will be no businesspersons in the parliament. The second woman is the leader of an evidently nationalist organization. In fact, neither of them are true oppositionists. In addition, the Belarusian leadership can well benefit from Anisim’s election to the parliament when it comes to the “Belarusization” of the public. 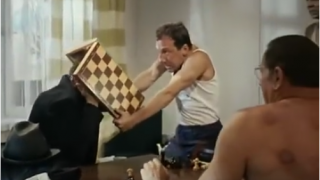 Anyway, two so far oppositionists are better than no oppositionist at all, though their presence in the parliament will hardly change anything. Even their formal right to apply to the Constitutional Court and introduce laws makes no difference, as the system will ignore them as before, except that now Lukashenko will have much more opportunities to bargain with the West. However, in this case too, there is certain risk for Minsk i.e. Brussels may assess the elections as a display of the regime’s weakness and decide to put the squeeze on it. If this happens, Minsk will have neither economic nor political benefits from the elections. This means that everyone will forget about the oppositionists in the parliament soon. The House of Representatives of the National Assembly was formed not only for the West, but also for the “internal audience”. During the last five years, the leadership of Belarus has been acting more flexibly, using western technologies, imitating the civil society activity. Eventually, it has managed to create the so-called “constructive” but in fact puppet opposition. That is why “contamination” of the “sterile” lower chamber of the parliament with oppositionists met both the foreign and domestic policy tasks. As the phrase goes: the stars are aligned. It is known that the West has formal demands to “Lukashenko’s regime.” The sides are observing the formalities to “save their faces.” However, U.S. and EU are materialists and they have never made charity, even when providing financial assistance for humanitarian purposes. Only Russia could afford itself to spend tens of billions of dollars for the former allied republics and for the “fraternal” countries of Asia and Africa before that. U.S. sanctions against Belarus were limited yet before the final of the parliamentary campaign. After September 2016, Washington will get a formal reason to lift more sanctions. On the other hand, U.S. can afford itself ignoring the needs of one of the post-Soviet republics for another 25 years. Formally, the issue of the sanctions was linked to the results of the parliamentary elections. In fact, EU and U.S. will act within their own interests. What they pursue is to get more levers of influence on Russia. If Minsk hews to that policy, it may get the notorious “cookies” from the West. Specifically, the IMF loan may be issued sooner, but it will not save the Belarusian economy, as it is not the right sum and the terms are too tough. In the domestic policy of Belarus, the West’s expectations come down to two key tasks: to prevent repressions against its agents and not to let its rivals to form any institutions there. It is no secret that there is no pro-Russian party in Belarus. The West will be urging Lukashenko that the danger comes from Russia and there is a threat of repeating the “Crimea scenario” in Belarus. Therefore, nation building may be intensified along with the so-called Belarusization. Formally, everything is presented as the implementation of the centuries-old aspirations of Belarusians whose interests are allegedly represented by such officials as the activists the Belarusian Language Society who received some seats in the parliament for their services, including during the presidential campaign in 2015. The “constructive opposition” will have another important task – “to dig a grave” for the “old opposition” that has degenerated into a political sect fed by the West. The authorities’ fortunes are looking up, while crisis continues and the majority of the people is suspiciously silent.